This beautiful women’s Sterling Silver jasper pendant has been lovingly handcrafted in our studio as part of our 925 Silver and Back to Nature ranges. 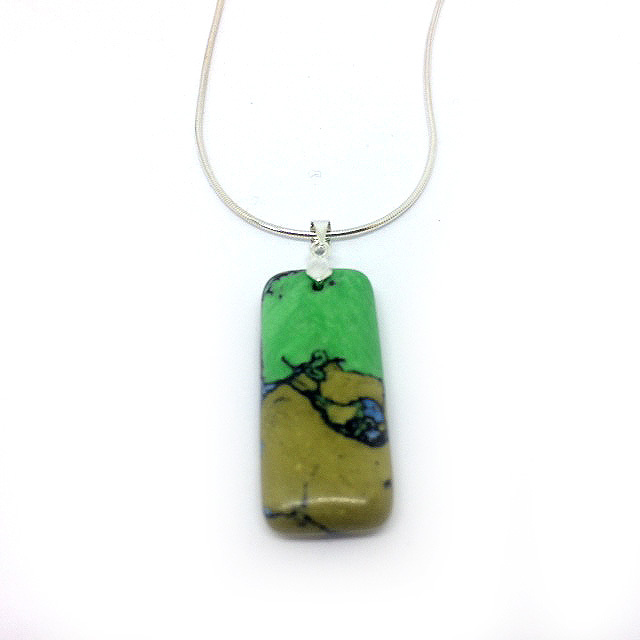 It features a stylish and unique natural sea jasper gemstone, which is in beautiful honey and summer green shades. This necklace comes with a quality Sterling Silver snake chain and bail and measures approximately 16″ (with the jasper gemstone measuring approximately 1.5″). It can be worn day or night and matches perfectly with both casual and eveningwear. It also makes a great gift for any occasion.